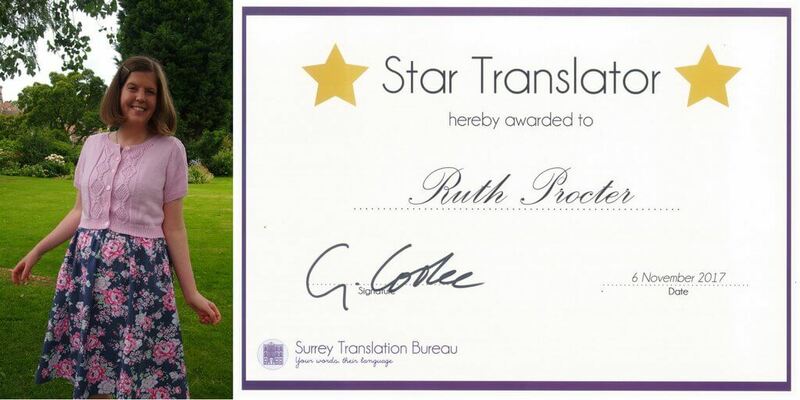 Ruth Procter is Surrey Translation Bureau's first Star Translator! Introducing the first ever winner of the STB Star Translator Award, Ruth Procter! Ruth’s consistently high-quality translations and clear communication make her very worthy of the accolade. She’s also not afraid to try new tools. Thanks for your hard work, Ruth! !